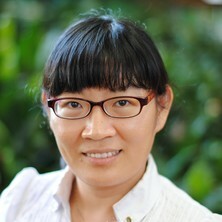 Dr Xin Liu is a Research Fellow with Therapeutics Research Centre, School of Medicine. Her research has been focusing on the application of advanced imaging in functional evaluation of drug transporters and mechanistic understanding of nanoparticle disposition at a single cell level in liver and kidney. She is also interested in physiologically-based pharmacokinetic modelling of nanoparticles and therapeutic cells. Comparison of the in vitro and in vivo effects of retinoids either alone or in combination with cisplatin and 5-fluorouracil on tumor development and metastasis of melanoma. Liang, X., Wang, H., Liu, X., Touraud, M., Chouane, J. B., Tse, B. and Roberts, M. S. (2017). Novel mechanistic imaging biomarkers for early prediction of acetaminophen-induced hepatotoxicity. In: Gastroenterological Society of Australia Australian Gastroenterology Week Precision Medicine in Gastroenterology, , Gold Coast, Queensland, Australia, (8-8). 20–22 Aug 2017.